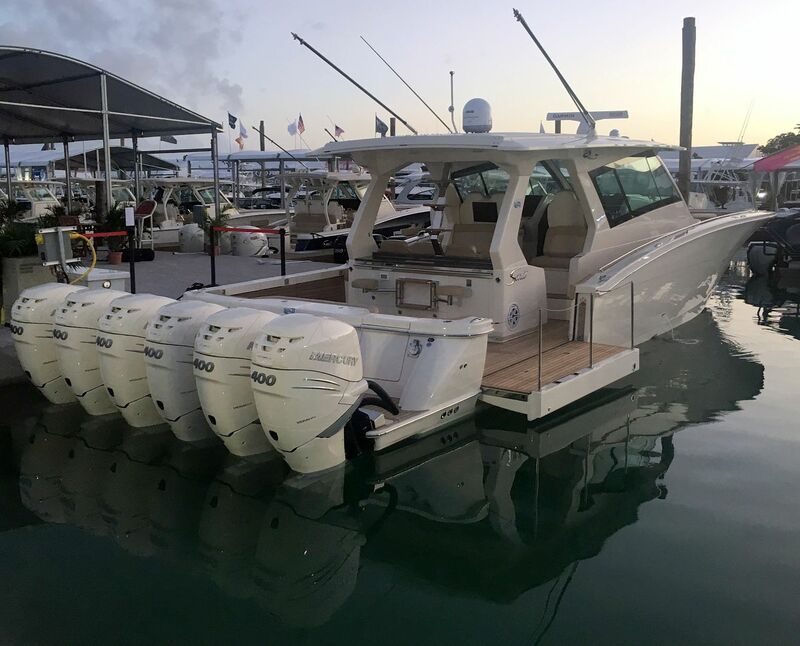 One of the boats I'm looking forward to seeing at the Miami Boat Show is not from a company who switched from building high performance offshore boats to building offshore center consoles, (fishing boats with no pole holders), with lots of big outboards. But from a company who has built center console fishing boats for their entire history. The new Scout 530, with 6 Merc 400's, is supposed to be at the show, and I want to look at it closely. If it's up to the standard of a friends smaller Scout, it will be really impressive. Things in the center cabin like Queen bed, large tv, air conditioning in both the cabin and on the front seat for the driver and co-pilot, etc. And both sides fold down flat hydraulically??? What keeps the back of the boat from falling off? Last edited by Ratickle; 02-11-2019 at 10:49 AM. I read about one in a magazine. It had 5 425 Yamahas. It was 2.5 million. For 2.5 million, I'd build something with twin diesels. But then again, I'm not involved in the Outboard Arms Race. Or you could buy a modest Million dollar 3 or 4 engine CC and a Pretty nice condo too.